KANISHK Two / Three Tier Slotted Angle Storage Systems are unique and are custom built to ensure optimum usage of vertical height. 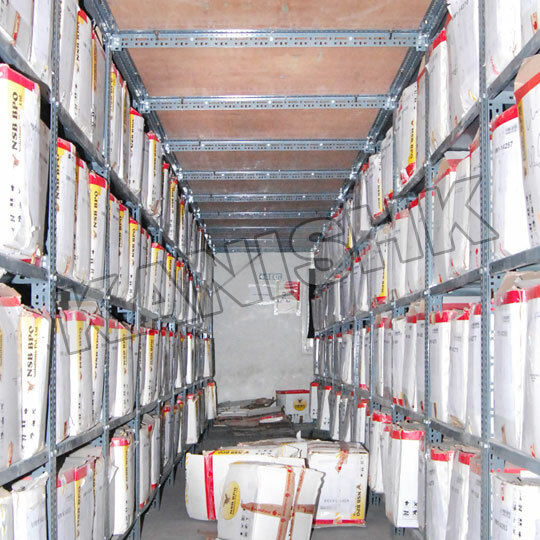 The Racking Systems is design in such a way that it starts from floor and divided at 1Ist and 2 nd floor by Catwalks in between for movement of men and materials, where storage and retrieval is manually done. 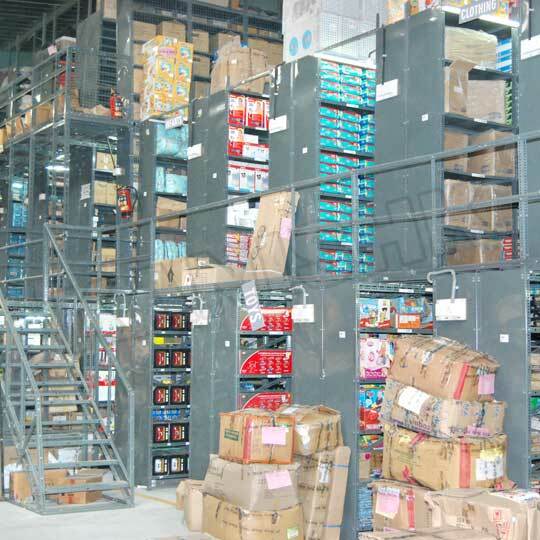 Two tier / three tier system is generally used in warehouses for Storage in Garments, records, cartons, shippers, printed packing Materials, stationeries, pharmacy products, Cosmetics, toiletries, consumables etc.